Banners high, s'il vous plaît. “I look out for our image and defend it from all enemies, foreign and domestic, at all times,” says 1999 Auburn graduate Jeffrey Hicks. So when he, while on a European vacation with his new bride in early 2011, stopped by Harry’s New York Bar, a famous, century old bastion of Americanism in the heart of Paris (and the birthplace of his favorite cocktail, the French 75), and noticed that an Alabama 2009 BCS National Championship pennant was included in the numerous college pennants lining its walls, but not a pennant celebrating the then most recent national champs, he took action. Hicks got the manager’s card. 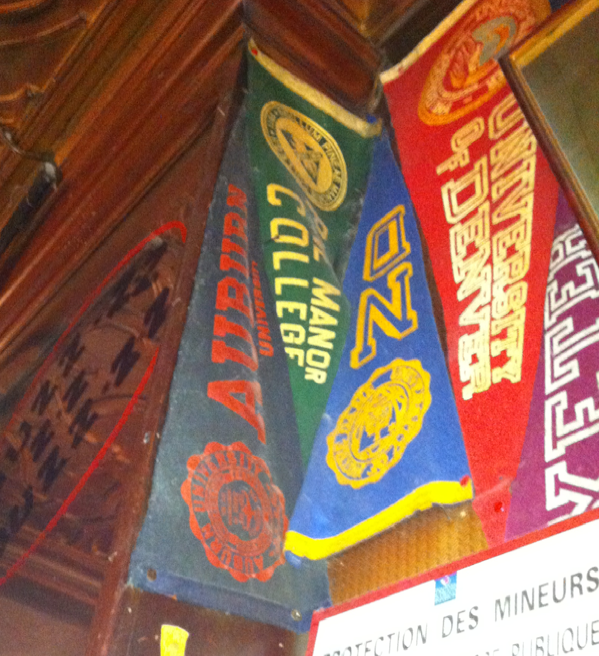 When he returned home to Birmingham, he bought a pennant, packaged it, and mailed it. 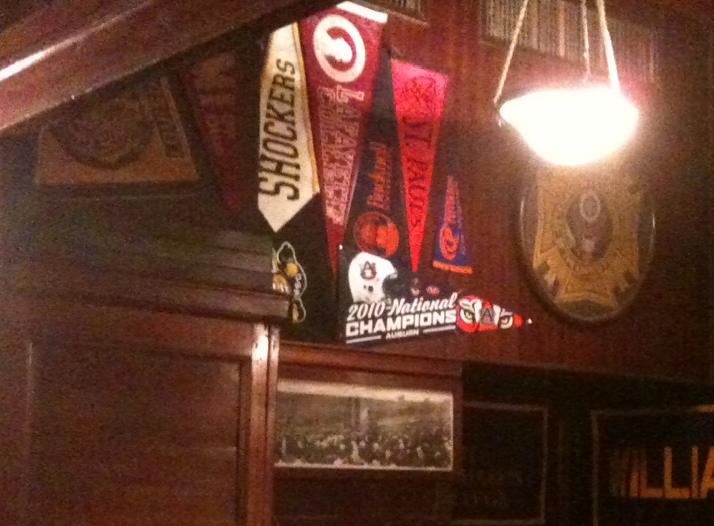 “A week or so later, [Harry’s manager] emailed me pictures of the pennant hanging in the stairwell where we sat for our drinks,” Hicks says. 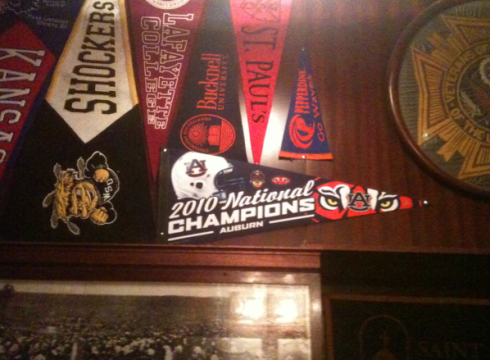 Harry's original Auburn pennant, keepin' it real behind the bar. Related: Oui’gle Oui’gle, War Damn Eagle: Family unfurls Auburn flag under the Eiffel Tower. Way to go guys, and a tip of the hat to Jeffrey Hicks. Jeff Hicks is a badass 🙂 WAR DAMN!